«Jews, Christians and Hindus were burnt at stake in Goa in India». In 1542 A.D there were 200.000 people living in Old Goa. The Inquisition started in 1560 A.D. It lasted for 252 years. The rubble of the destroyed city can still be found under the three cover. The tiny state of India was the centre of the most cruel inquisition on planet Earth. This is the words of the historian and author Gunnar W. Knutsen. He recently translated an eyewitness account from 1687». 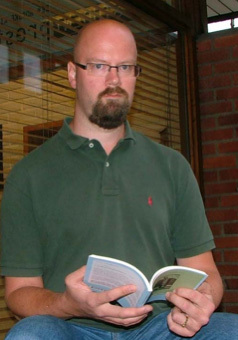 Gunnar W. Knutsen took his master on the Spanish Inquisition, and is today employed as an Historian at The University of Oslo. 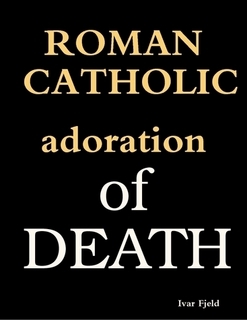 He was written several books and articles on the different tribunals of the Inquisition. In the Norwegian version of the «The Inquisition of Goa» Knutsen also explains from his own conclusions, made by the research and studies of the tribunal in Goa. Gunnar W. Knutsen has made a book about the Inquisition in Goa. «The Spanish Inquisition did create fear in Europe. But few, if none, are aware of the fact that the most grotesque religious tyranny took place in Asia. For 252 year, the Portuguese enclave of Goa was ruled by a tribunal, which by the present age was look up on as a state of terror». India was fare away from Europe, and the Portuguese authorities and the Roman Catholic Church had freer hands than on their home turfs. The Religious tyranny lasted for almost 252 years. The archive files of the religious tribunal has disappeared, and no-one knows for sure the number of people executed. «But we know from other sources, that there were more than 16.000 trials in Old Goa. Even without access to the missing achieves, we can acknowledge that al least 500 people lost their lives», Mr. Knutsen explains. «The Tribunal in Goa got the authority to arrest and transport to Goa people from all the Portuguese colonies on the East Coast of Africa, West cost of India, Sri Lanka, The spice Island of Indonesia and Portuguese China. The Portuguese Inquisition was in fact a global system of justice with authority over all sea vessels under control of the King of Portugal, wherever on the planet they were located» says Knutsen. 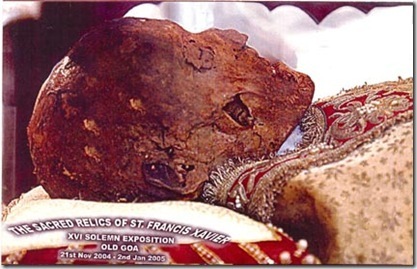 The skull of Francis Xavier, who wrote to the King of Portugal and proposed a tribunal of the Inquisition to be set up in Goa. It was the fight against «Maranos», or crypto-Jews who was the official ideology behind the tribunal of the Inquisition in Goa. The crypto-Jews was the name of Jews who officially has converted to Catholicism, but still celebrated Jewish traditions and the Sabbath in secret. When the Jews were expelled from Spain in 1492 and Portugal in 1948, many of them chose to flee to the newly discovered colonies. 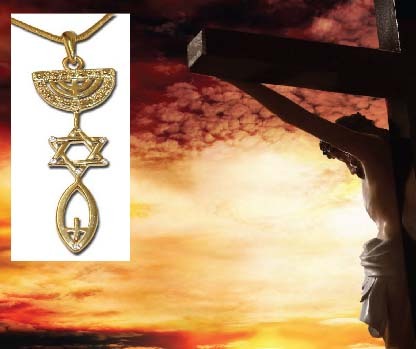 In the year 1557, the Jesuit Goncalo Da Silva from the Indian city of Cochin wrote, that Judaism was a «perversisismo», the secret enemy which needed to be defeated with an Inquisitional tribunal in Goa. But also the Pre-Portuguese St. Thomas Christians and the Hindus of Goa was persecuted and killed by the tribunal. Source: The Norwegian Christian daily newspaper «Dagen». The Goans have never been told the full truth about the crime against humanity that took place inside their state during the Portuguese rule. The man they adore, venerate or worship as a saint, is basically the man that brought in the terror. Thats tragic. Will the Roman Catholics in Goa ever be told the truth, so they can get a chance to repent? I am Goan and feel privileged to be born and brought up right in the borough that was occupied by the Jewish people. I found out that the name of this borough was “Beit Thana” meaning “Administrative Center” but after the Portuguese invasion it was changed to “Britona” – why they came up with a British-like name I haven’t a clue. However,it is very heart-rending to learn of the history of Goa particularly how much the Jewish people have had to suffer and being hunted from country to country. But they are blessed and they are strong and they have multiplied throughout the world this shows us how the hand of God is protecting them, and that they can NEVER be made extinct. It is also tragic that the inhabitants of their host-states also had to go through senseless torture and mass killings – I quote Francois-Marie Arouet better known as Voltaire … “Goa is sadly famous for its inquisition, which is contrary to humanity as much as to commerce. The Portuguese monks deluded us into believing that the Indian populace was worshiping The Devil, while it is they who served him.”… How true!! Thank You – You are so right about this Francis Xavier (minus the title). You are also right about hundreds perhaps thousands of Goans (including my own household) until this day “do not have a clue about what happened to their ancestors” and who in all possibility could be a part of the lost tribes of Israel. I am trying to find people with Jewish roots in Goa to introduce them to their soon coming YAHSHUA MESSIAH. If you have any info on Jews in Goa please pass it on to me. Appreciate it. hi evar am so glad to know there were jews in goa ,my mom always had a longing for israel from her childhood ,she has been there once on a tour and after coming back she said she is back in goa but her heart is still in israel,i have a feeling there might be some ancestral roots connected ,u never know.please send me any information about the jews that were in goa and what happened to them as well as about the so called patron saint.would like to inform all my family and friends about it.thanks a lot. We would love to fellowship with Messianic Jews in GOA or anywhere in India. Please give us the contacts of your fellowship. You are a beautiful Jew. Anybody with a Spanish Surname is a Jew from Spain. My grandfather was in Britona and he did not look like an Indian, and my mum name was Raquel and his name was Joaquim de Souza, could his ancestors been victimized during the inquisition in Portugal in 1497 ? I was told that he spoke Ladino. Please help me with an answer if possible ! ~~~~ First of all your name and your comment came to me as a big surprise this morning and with the mention of your mother’s name, yes, the dots connected very well. I am positive that I know who you are and I remember your family very well even though some decades have gone by … we are from the same village not very far from each other. However, I don’t live there anymore and I know that neither do you and your family. ~~~~ About the inquisition, you bet they, the Portuguese mass-murdered our ancestors and others including the Hindus, Muslims, even Arab Traders, and other Merchants, and converted us to Catholicism. Not only that, they destroyed all records of the victims. They caused hell in Goa such a thing has never ever happened in the whole of India until this day. Could it be that your family and mine and hundreds of other Goans are the lost people of Israel? But the good God of Israel always preserves his remnant and in these present days He is gathering them all to meet with His soon returning Son, Savior YESHUA(Jesus) of the children of Jacob and many others who honor and love Him. ~~~~ I have been doing a lot of research since the past 12 years on my roots and I found a lot of information. The Israelites who fled to Goa & Kerala(*) are those that fled from the Spain and Portugal Inquisition but were then hunted down by the devil himself and murdered by the hands of the Portuguese. During this time many of the Israelites fled to Bombay(now called Mumbai) who call themselves the “B’nei Israel” meaning “Children of Israel”. BTW you did mention that you grandfather did not look Indian – so strange, because neither does my mother and her family – they look more Spanish like the Sephardic Jews. I have tons of info but it is difficult to write it all down here. If YAHWEH wills it, I know you and I will connect, then perhaps I can share more with you. Meantime may YESHUA(Jesus) enlighten you with more Knowledge and Understanding in this matter. BE ALWAYS BLESSED. Now regarding catholicism, I gave it up almost four decades ago and to be honest I have a KIPA as the call it in France. I would like have some more contacts with you if possible, Shalom. BRITONA..””” Well just a matter of interest… I had a friend in Muscat.. late Augustin .. from Britona.. we called him Iraqi.. because he fair and looked diffrent. We always used to say to say.. you are not a Goan… maybe his was a Spanish… or… Jew ~ if intereted I can sent you his photo.. do not know much… but his family is still in Goa..
What a sad sad fact people hate Jesus so much..they will kill a whole nation just because they are Jews….well the world enslaved millions for years they still have the seed of hatred (Satan’s seed) among them even today…on both sides of the race fence, however …it’s not any race or nation that had the Promise of The Son of God to enter this world and destroy the works of Satan promised from the beginning…It was thru… ”only the Hebrews”…, my heart goes out to all Israelis, their torment will not be over till The Messiah returns …sad many of them didn’t recognize him when he was here…shucks many of the Christians who go by His Name today have no clue what He will be like when He returns! A sad day we are warned will be on His return! All these who suffered thru the centuries will be comforted by The Father ‘if so be they were his’..and horror above horror for those who inflicted those torments upon anyone.. Thank you very much for the information you provided about Augustin. I was trying to recollect as to who he was and who his family is. So yes, I would appreciate if you could send me his picture that way I would know who he is and his family. My cousin has his own business in Muscat so he would perhaps know him too, also my sister in Goa would know him and the family. It would be very interesting to connect with people from my own hometown this way through you. Now to send the picture you would need an email right? Let me know how you want to do it. P.S. SOMETHING VERY STRANGE MY MUM TOLD ME THAT I WAS BORN ON A SATURDAY AND THAT IT WAS A HOLLY DAY ! ~~~~ I honestly don’t know what to say I’m so stunned for it has been immense joy for me to know and connect with someone from my own hometown in this manner after decades. Someone who has been doing the same as I have – looking for our true roots. 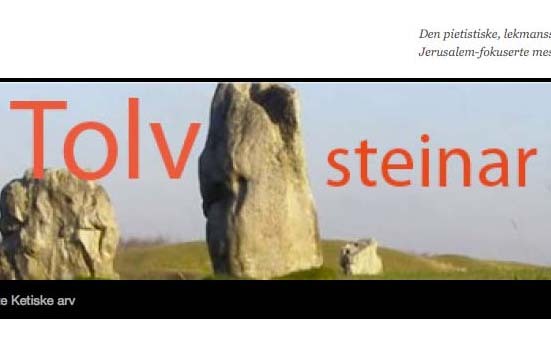 ~~~~ I will first thank YAHWEH for this connection and then I thank Ivar for his blog and this article. 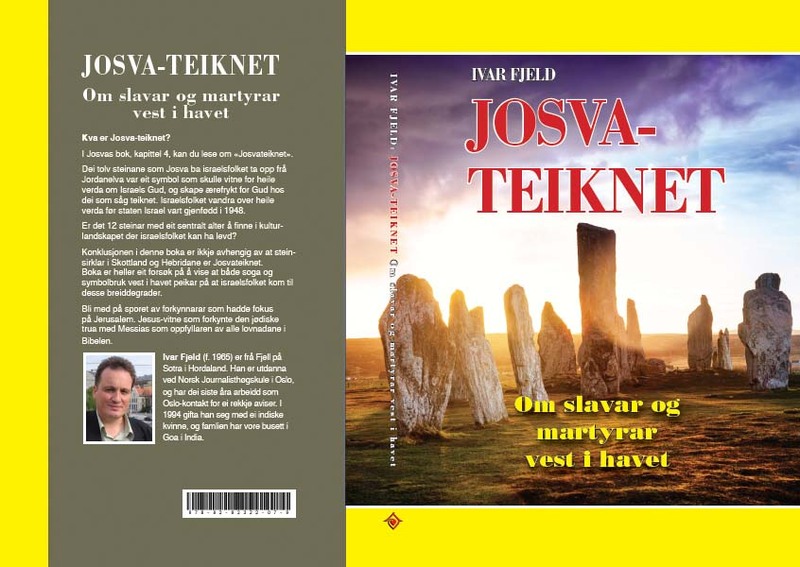 Ivar, may you be richly blessed for your boldness in bringing out the truth due to which I was able to make this connection. As per my very first comment, it has taken 2 years to do so, I pray that many Goans will read this blog and see the Light of YAHWEH as Tomas and me have seen it. ~~~~ BTW Tomas, I’m not in India anymore. I have so much to say but will save it till we can connect and YAHWEH willing, we will, I know that. Meantime keep in touch on this blog. Shalom to you my brother in Yeshua’s Holy Name. Thanks again for your reply ! Take your time and when you ready, do please let me know. Shalom. Shalom, it’s gonna be soon I know. Be Blessed. I am not a crypto any more ! Do you have a Skype account. If not open one and add me in. This way we can connect. Skype username: soldeir4yeshua. Just so you don’t get confused my user names got switched from one email to another but I’m one and the same person. You will also find me on Skype under this name Bethany. I learned that many Jews who had fled to Mexico from the Goa Inquisition, were later hunted down and murdered there. Yet many gentiles deny the Inquisitions, the Holocaust that the Jews and other people have suffered. It is so sad. I hoped to hear about Agnela but will wait till YAHWEH connects us. Meantime Shabbat Shalom, I’ll keep you and your family in my prayers. It’s good to know that one more Goan (you) has come on this site and who has given himself to the Lord and Savior Yeshua(Jesus). I will make a trip to Chorao the next time I visit Goa just to see this chapel that you mentioned as I’m still doing a lot of research. Thanks for the info. I pray that God will enlighten more Goans about the Portuguese Invasion and their atrocities on the Goan people. I pray that more Goans will leave the evil religion of Catholicism and embrace the True God of the Torah/Bible and worship Him only for there is not much time left if we look at what is happening in the world and in the heavens today. 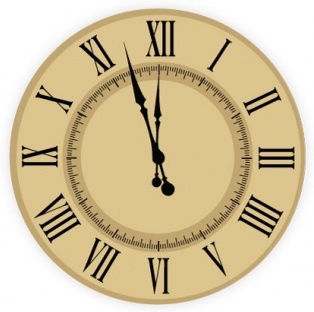 The time is really very short for the coming of the Yeshua(jesus) the Messiah. Is it A SURPRISE ! Search for “are Jews a holy nation” on the net? On this site people have told you the truth. But you have rejected the truth, and will face the eternal consequences of Hell. Please repent. Your Jew-hate is not wanted on this site. Please leave this site. The unknown crime agnist the Jewish community in Goa. The population was roughly 200.000. by 1543.Where are they and what happened ? During the 252 years of Spanish inquistion in Goa.Please do not turn a blind eye on our history. I do not hate Jews, I have very closed friends, true honest Hebrews, Do you want some name & address in USA? I speak about the cult & dogma not specifically persons. it is History not an invention or a lie. It is since Phoenician Cartage until 1808 the establish date of Zionism. Its a real pity, that some do-not want to hear the truth and still have the hate ! It was a forced assimilation and a crime against humanity, which took place in Goa. 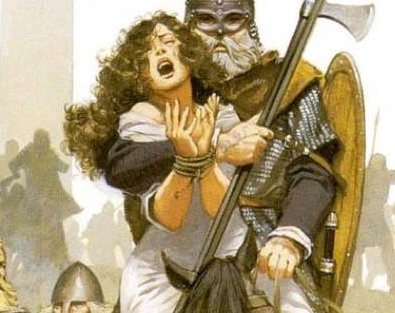 Do you know some thing about inquisition in Spain? Three million tortured & killed by the church who established Christianity in the world. You are right they do not want the truth of “Love in Christianity”! What a shame? The truth is “what a false religion” Who kills not only who deny their “copied cult” of pagans but also scientists & intellectuals…. Three million tortured & killed by the church who established Christianity in the world. You do not want to listen, and you will most likely never change. Despite reading 100 or more articles on this blog about Rome being the seat of an antichrist, you keep on telling lies. Claiming that the Roman Catholics are “Christians”. Your time on this site is up. Do not spend any time writing one more comment. It will be a waist of energy. You will be spammed. Till the day I see fruits of repentance. you will be treated as brood of vipers, the very camp you belong too, and with whom you will spend eternity. Zechariah 13:6 And one shall say unto him, What are these wounds in thine hands? Then he shall answer,Those with which I was wounded in the house of my friends. To all Believers who go thru this, painful part of walking with Christ, I’m reminded to say…Be comforted my brethren, Walk on, Walk on with hope in your heart as your peace returns to you, and know you’ll Never walk alone! For what they did to Jesus they will most assuredly do to you, and they do again as they do it to you now. 200 years after the Spanish inquistion in Goa and despite of the facts, some still have the audacity to reject the truth ! What a shame. Yeah it is a shame some reject the Truth, but they do..
We withstood for centuries and the era in which you still belive, is over ! No one has the right to occult the true facts,I am in no way astound to read such comments and I have also ascertain that some still have hate, I wonder if it is incarnated. It’s high time you sow your hateful comments eleswhere, no request has been made for compassion ! Is the Lord connecting us His lost people? You bet (SMILE!!!). YAHSHUA is so good and gracious. A man who has never been a Hindu, do not have to “convert back” to Hinduism. One lie that has been told a million times by Catholics and Hindus in Goa, is that the Portuguese brought Christianity to Goa. A Catholic pries has proven this to be completely wrong, Rev. 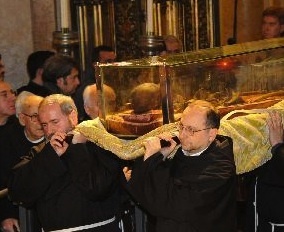 Cosme of Pilar. In 2001, He discovered a Thomas cross in Goakapatnam (ancient port of Goa), dated back to 700 A.D. This cross is preserved and be studied by all truth-seekers at the Pilar Museum. So there were Christians in Goa 800 years before the arrival of the Portuguese. The colonial power came to steal and rob, completely contrary to the teachings of Jesus the Messiah. Kindly acknowledge that the grace of God has been in Goa for at least 1.300 years. 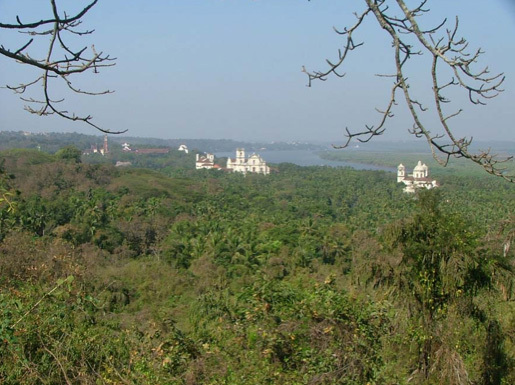 Christianity in Goa should be considered less a foreign religion to Goan’s, than many of the Himalayan inspired mythologies of the old ancient kingdoms of North India. The Hindu religion is somewhat the same as this religion that Kills innocent folks, Drinks their blood, Eats their flesh and Displays their bones – they are called “reptilians” and the reptile here is worshiped in the name of Jesus. Certainly the TRUE JESUS is NOT the “reptilian Jesus” portrayed in these videos. Jesus is coming very soon, and our Holy Writings say; that at the name of JESUS, every knee will bend and every head will bow before the Holy One & Only Creator JESUS when He arrives from Heaven – and that includes you and every person of every nation regardless of their religion – and every religion will be wiped out and every man-made god will be destroyed and every spirit god will be bound in the pit of hell … JESUS WILL RULE SUPREME – BLESSED BE HIS HOLY NAME – So make a note of this. Negationism means the denial of historical crimes agnist huumanity ! I was born in Goa and my parents named me Noemia. Very very strange =because there we not any Noemia”s in Goa. I always felt that somehow I was Jewish=but could not uderstand why I felt this way. Anyway grandmother told me that they fled Old Goa a certain clan-due to persecution and plague/ Were my ancestors Jewishj? I will never know- there are no records .I to remember my grandmother and her brother and uncle had distinct features and did not look Indian. the fact that many religions like Jews , Parsis, Syrian Christians & Tibetans came to india as refugees to evade persecution should probably suggest you that Hinduism isn’t a “reptilian religion” as you DECLARE. 1)if its about the castes you should know about the varnas,Chandragupta Maurya(the greatest king-a shudra, made by brahman kautilya), Valmiliki & Ved Vyas(holiest writers-shudra),many more. Varnas are by deeds not by birth . *north indians mainly worship Rama & Krishna (the dark gods) south worships Shiva(fair). You should thank the british “divide & rule” & the 1200 yr ‘Invasion & Oppression'(if you’re a jew you might understand) for these ills. Hindus do not expect any gratitude, but your words seem to be “reptilian”. Were we violent to jews,etc, ? No offence . Sorry . but you were wrong. Dear Manoj, a real christian I know in India, and he was a real apostol-Sadhu Sundar Singh. I highly recommend to read about his life if you have no read. He did preach to british later in his life to become real followers of Christ. The Inquisition was directed toward Catholics and Catholics alone. 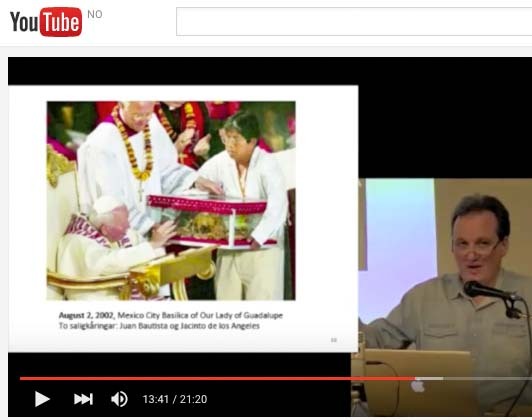 Yes, those who claimed to be Catholic, but were preaching and practicing heresy. A Jew was allowed to be a Jew, and a Buddhist was allowed to be a Buddhist. Get your facts straight, folks. The Inquisition was directed toward Catholics and Catholics alone. The Inquisition was enforced to rid nations of “judaizers”. This is people who practice Judaism. You must be aware that Jesus the Messiah was one of them. And that the Messiah was a Jew. 2 things that come to mind; 1) Obviously you have not read the history right or 2) You are a catholic and obviously defending your church. So here’s quite a bit for you to read although I could share a lot more.. The order Jesuits=Society of Jesus is an order of “military monks” better still “a killing machine” that was established by Ignatius of Loyola (born Íñigo López de Loyola). This time they are not only coming for a certain nation or nations but BEWARE!!! 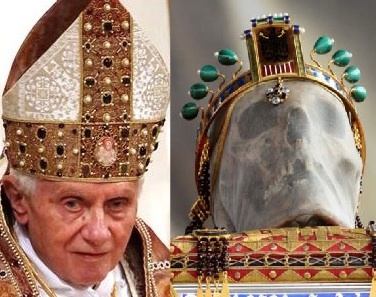 They are coming for every mankind on this planet and that includes their own followers “the catholics”. Our only HOPE is YAHSHUA our MESSIAH because He did say; The THIEF/SATAN comes to KILL, STEAL, and DESTROY but I have come that you may have LIFE and that you may have it abundantly JOHN 10:10 – Therefore, no one can SAVE you but only YAHSHUA (The Hebrew Jesus of Nazareth). The ONLY KING of Heaven & Earth. Let me comment ,regarding marwan yafi are u from Lebanon ya amee. Ismaah. do not be offended here on this blog.. Also all of you are descent born again Christians. We have to love each other from hate . we must not provoke each other sometimes one is less informative of a history . Jews are God’s favourate so are the Branches, till one breathes last there is chance to come into the kingdom. The Roman Christians are playing their cards well., we can’t stop a perverse nation from destroying the word of God. The Bible is and will remain unchanged of its information. Xavier in old Goa is being pumped chemicals we learnt from old people around the church there ., to keep it like fresh. Remember Eyes from above are watching!! So try fooling. I read this article purely for its historic value. As a former catholic, in fact as a former believer, find it fascinating, yet not surprising, how you people use religion to make sense, to cope with the misery region has brought to humanity. christians. There is hope for peace in the world yet. I can not blame you for not understanding that Catholicism is a copy-cat religion of Biblical Christianity. The list of crimes of the Roman Catholic pristhood is long. But I will encorurage you to get your hands on a Bible. Please read it, and let the wisdom of Jesus enlighten your life. Amen. It is true that most Goans are of Jewish origin. Some of the houses even have the specific architecture. We are messianic Jews. Love Israel, the Jew and long to meet a Jew. Coz we owe the Jews for preserving the Bible & giving it to the World thru’ which we came to learn about our Salvation thru’ the Lord Yeshua, God’s promises, about the patriarchs, prophesies, the Sabbath, God’s Festivals & High Holy Days and lots lots more. We are deeply indebted to Elohim, the God of the Jews for choosing us as his children. We long for fellowship with Messianic Jews, a Synagogue in Goa and to have a Rabbi to teach us our roots. We are prepared to offer all assistance to make this vision possible. To start with, we have already prepared our Terrace that can sit around 35-40 people, made the Beema, have around 40 chairs, tables, banners, etc. Can you help by planing a Synagogue in Goa and teaching Goans about their Yeshua and our Jewish roots? Yes, I can. It will be an honor. 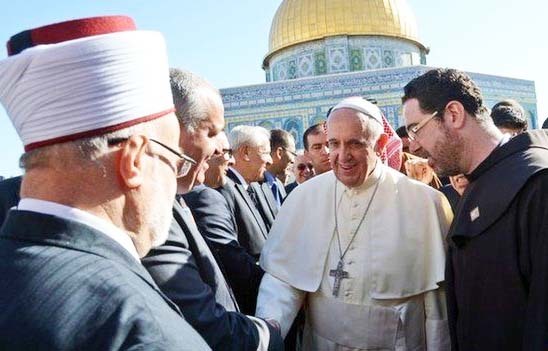 Let the leader of the flock have only one rabbi. Yeshua the Messiah. What a joy to read you comment on opening my computer this morning. I am a bonafide Goan living abroad and following the Hebraic roots for about 16 years since Abba (Father) led me to the Torah. Learning through my long research about the Portuguese Inquisition that took the lives of thousands including Jews and wiping out their records, my heart was filled with grief thinking if I would ever find my roots but in time I also learned that Abba Yahweh has saved His remnant. I am eternally grateful to Him for that – Blessed be His Holy Name!! However, since then I have also done a lot of research to see if there were any Goan Jews living in Goa and now seeing your comment, it’s like my prayer is answered. I will be visiting Goa this year on my way to Israel for Sukkoth (Feast of Tabernacles) and would very much like to meet you and your family and assist you in bringing the lost sheep to Yahshua HaMashiach. I would be so glad to connect with you – Please email me at …. regaleagle70@yahoo.com – Be Blessed. I have always felt a strange connection with Israel and after reading this blog I think I know why…. Somebody abused St. Francis Xavier for inquisition. The Inquisition came to Goa full 10 years after his death. He was not living to be involved in the Inquisition. Somebody accused St. Francis Xavier for inquisition. The Inquisition came to Goa full 10 years after his death. He was not living to be involved in the Inquisition. The Inqusition and persecution of Jews was already in place in Portugal and Spain, when Francis Xavier arrived in Goa. 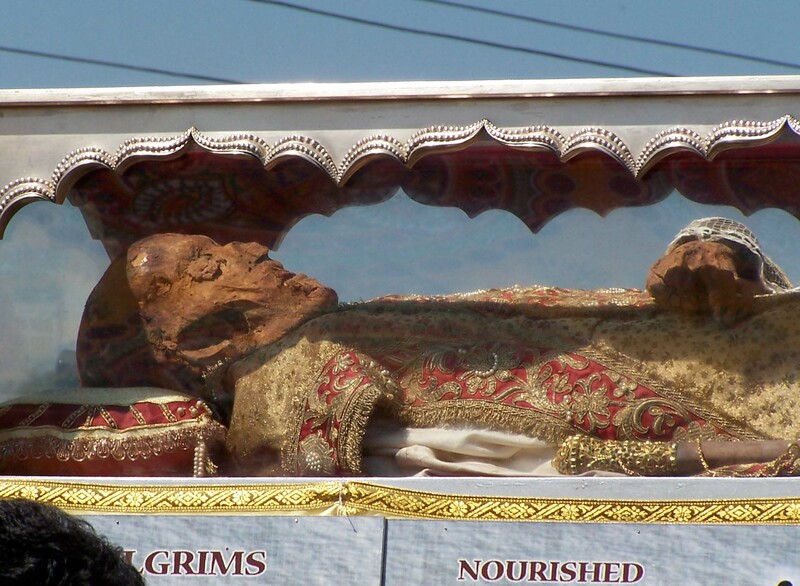 The ongoing criminal acts of the Jesuit’s and their Pope was exported to Goa. There is no excuse of honoring these men as “saints”. Their “Christ” is not Jesus of the Bible.